Who Killed The Weekly Standard? The bureaucratic mind has a temporary triumph. I’ve only been around Phil Anschutz a few times. My impressions on those occasions was that he was a run-of-the-mill arrogant billionaire. He was used to people courting him and he addressed them condescendingly from the lofty height of his own wealth. I’ve never met Ryan McKibben, who runs part of Anschutz’s media group. But stories about him have circulated around Washington over the years. The stories suggest that he is an ordinary corporate bureaucrat — with all the petty vanities and the lack of interest in ideas that go with the type. This week, Anschutz and McKibben murdered The Weekly Standard, the conservative opinion magazine that Anschutz owned. They didn’t merely close it because it was losing money. They seemed to have murdered it out of greed and vengeance. John Podhoretz, one of the magazine’s founders, reports that they actively prevented potential buyers from coming in to take it over and keep it alive. They apparently wanted to hurt the employees and harvest the subscription list so they could make money off it. And Anschutz, being a professing Christian, decided to close the magazine at the height of the Christmas season, and so cause maximum pain to his former employees and their families. The closing of The Weekly Standard is being told as a Trump story, as all stories must be these days. The magazine has been critical of Trump, and so this is another example of the gradual hegemony of Trumpism over the conservative world. That is indeed the backdrop to what happened here. But that’s not the whole story. In reality, this is what happens when corporate drones take over an opinion magazine, try to drag it down to their level and then grow angry and resentful when the people at the magazine try to maintain some sense of intellectual standards. This is what happens when people with a populist mind-set decide that an uneducated opinion is of the same value as an educated opinion, that ignorance sells better than learning. In that sense, the closing of The Standard resembles Chris Hughes’s destruction of the old New Republic. This is what happens when the commercial forces trying to dumb down the American media run into a pocket of people trying to resist those forces. I was on staff when The Standard was founded, by Bill Kristol, Podhoretz and Fred Barnes. They gathered the most concentrated collection of talent I have ever been around. The first masthead featured Charles Krauthammer, P.J. O’Rourke, Robert Kagan, David Frum, Chris Caldwell, Matt Labash, Tucker Carlson and the greatest political writer of my generation, Andrew Ferguson. Early issues featured the writings of Tom Wolfe, Gertrude Himmelfarb, James Q. Wilson and Harvey Mansfield. The person at the bottom of the editorial masthead, a young Neomi Rao, has just been nominated to replace Brett Kavanaugh on the U.S. Court of Appeals. It was and remains a warm, fun and convivial group. The magazine’s tone was part high intellectualism, part street-level political reporting and part Hunter Thompson-style gonzo journalism. The Standard was conservative, but it frequently dissented from the Republican establishment and delighted in modern pop culture. The staff was never unanimous about anything. The many flavors of conservatism were hashed out in its pages. If it stood for anything, I would say it stood for this: that the good life consists of being an active citizen and caring passionately about politics; that it also consists of knowing something about Latin American fiction, ancient Greek culture and social impact of modern genetics; that it also consists of delighting in the latest good movies and TV shows, the best new cocktails and the casual pleasures of life. Over the past year, under the editorship of Steve Hayes, the magazine was as good as it ever was. Adam Keiper did brilliant work with the back of the book. Amazingly talented young writers were recruited, like Adam Rubenstein, Alice Lloyd and Haley Byrd. If you look at the issue now online — the last that apparently will ever go online — there’s an article calling on Republicans to respect due process, a look at what can be done to bring down the suicide rate, an essay by literary critic Paul Cantor on “Frankenstein” at 200 and a piece on the sixth-century Roman poet Maximianus. Over the past few years, if all the stories are correct, McKibben tried to change the tone of the magazine. He tried to get The Standard to hire highly partisan shock-jock screamers. He tried to tilt it more in the direction of a Republican direct mail fund-raising letter. When these efforts were blocked, resentment flared and the ax fell. The Standard is now gone, but the people and ideas The Standard nurtured will continue to flourish. The talented young people who were fired this week will go on to have brilliant careers; the courage and integrity Hayes has shown during the Trump era will continue to inspire, while the drab corporate bureaucrats fade into the sand. An earlier version of this column misspelled, after the first reference, the surname of the man in charge of the company that owns The Weekly Standard. He is Ryan McKibben, not McKibbin. A version of this article appears in print on Dec. 18, 2018 , on Page A23 of the New York edition with the headline: Who Killed The Weekly Standard?. Posted in journalism, Media, The New York Times. Former executive editor of the New Straits Times KP Waran died today after a nine-month battle with cancer. This was confirmed by his wife, Sheila Singam, via a Facebook posting that was accompanied by a picture of a smiling Waran. In another posting, she attached an NST news article on her husband’s demise which also detailed his many achievements, captioning it with “So proud of you, my husband”. 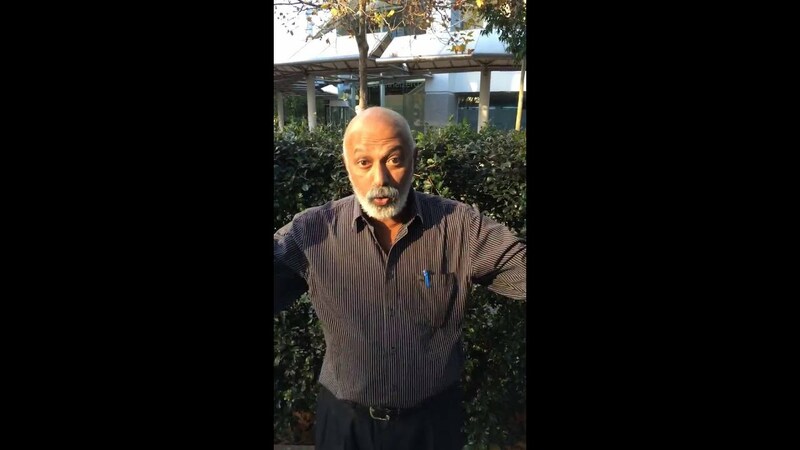 According to his former employer, Waran, 60, had over two decades of experience in the news and media industry and had covered conflicts in places like Bosnia and Herzegovina, Sri Lanka, East Timor and Cambodia. Bernama senior editor Jamaluddin Muhammad, who was with him covering the war in Bosnia in the 1990s, said Waran showed an exemplary character in facing difficult situations. “He helped plan our dangerous journeys meticulously with the assistance of locals, paying particular attention to things like roadblocks, possible landmines and so on,” he said. He recalled that the media veteran also refused to be intimidated by Serbs manning a roadblock who asked him to surrender film rolls that captured scenes of the conflict. “He was not afraid to stand his ground when we were threatened by gun-toting Serbian troops over the film rolls despite the moment being a life-and-death situation,” Jamaluddin said. Waran, he said, also provided constant guidance on the dos and don’ts during their time there, such as the need to always be aware of the surroundings and to always move in a zig-zag pattern in areas where snipers were anticipated. Jamaluddin said the lessons he learned from Waran in Bosnia were put to good use when he was later sent to cover the Iraq war. Meanwhile, former colleagues paid tribute to Waran on social media. “On behalf of The New Straits Times Press, I would like to convey our heartfelt condolences to the family of the late KP Waran on his demise today,” said Mustapha Kamil Mohd Janor, who is an NSTP board member and Media Prima Bhd executive director of news and editorial operations. He pointed out that Waran served the newsroom as a journalist for the most part of his life, and contributed significantly to the operations of the newspaper. Former NST journalist Roziana Hamsawi expressed sadness over his passing. “You were my favourite editor at the news desk. You made my years there bearable. Always kind to the stories I wrote. Always cool about everything. “Loved working with you! Rest in peace boss!” Roziana wrote. Posted in Condolences, Goodwill, journalism, Media, tribute, Uncategorized. COMMENT | There’s a political storm raging right now in Australia about suspected government-instigated interference in the independence of one of this nation’s most cherished institutions, the Australian Broadcasting Corporation (ABC). This comes at a time when levels of public trust in politicians, political parties and corporate pressure-groups and media power-brokers are at all-time lows. Even the major banks and other financial organisations, whose very existence depends on trust, have been exposed by a royal commission into their activities that Australia’s ruling coalition for years fiercely denied the need for, as systematically dishonest to the point of criminality in many of their dealings with customers. 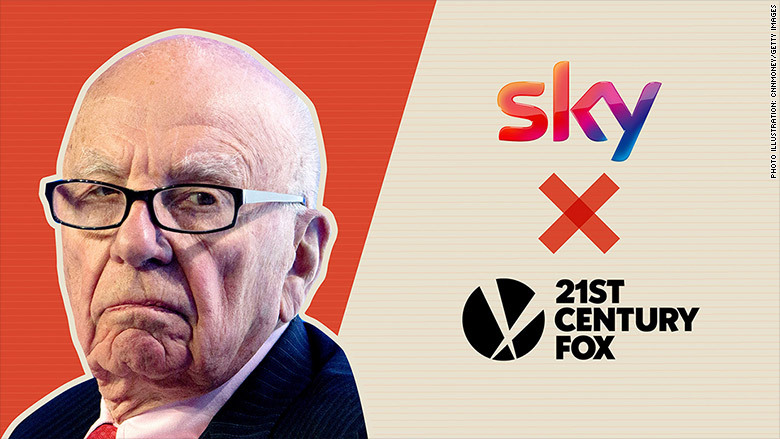 And far too many of Australia’s commercial news media are controlled by Rupert Murdoch’s (photo) News Corp, often more accurately referred to as News Corpse. This is an organisation that so confuses media freedom with media feraldom as to have disgraced itself several years ago in the UK phone-hacking scandal that led to its closure of its dreadful News Of the World, but not, unfortunately, its equally sordid Sun – or, if you prefer, the Shun – and continues to disgrace itself today with its Fox News in the US. In Australia, it peddles such right-wing-partisan apologies for “newspapers” as The Australian, Sydney’s Daily Telegraph and Melbourne’s Herald-Sun, all of which pander to their proprietor’s personal, commercial and political interests by shamelessly slanting their news to fit his views. And into this very bad bargain, the Murdoch media in the UK constantly campaign against publicly-owned media like the BBC in the UK and the ABC in Australia on the dubious, self-interested grounds of “unfair competition” for print readers, air-media viewers and internet “eyeballs”. Australia’s government has been responding to this campaign by slashing the ABC’s budget whenever possible, and constantly making complaints about what they choose to perceive as its left-wing bias. As a result, the ABC managing director Michelle Guthrie was recently fired by the corporation’s board of directors for reasons that the chairman of the board Justin Milne refused to publicly disclose. 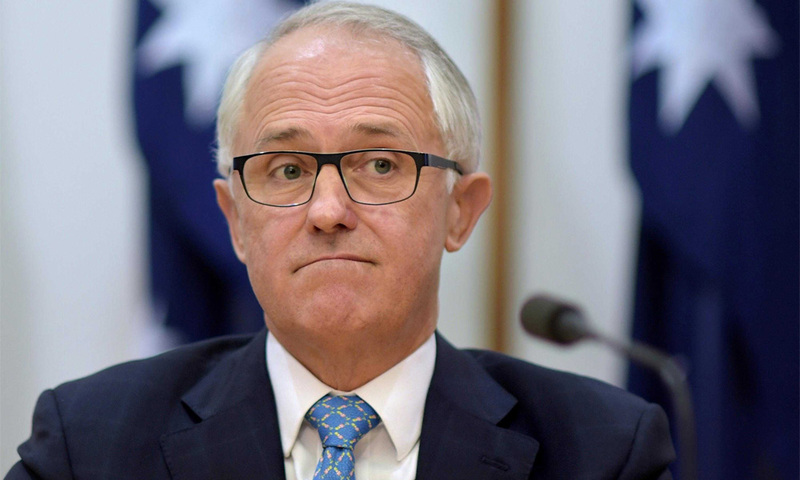 And now the chairman himself has been asked by the rest of his board to resign following claims that he had bowed to pressure from Australia’s recently-replaced prime minister Malcolm Turnbull (photo) to propose the sacking of two senior ABC journalists that Turnbull “hated”. Or at least that’s the plot so far in outline, and anybody interested in exploring it in more detail or following it further would be well advised to do so here. Meanwhile, this sordid affair should serve as a salutary reminder to citizens of Australia and many other countries never to take their relatively free news media for granted. And as a timely reminder to Malaysians that the media freedom that most, if not all, of them have dreamed of for so long will not be won quickly or easily. As the much-admired elder statesman Lim Kit Siang said last week in his speech to a large audience assembled by the Sydney branch of Global Bersih, Malaysia now has the chance to transform itself from a kleptocratic black hole to a beacon of enlightenment, probity and progress, but this achievement may take years if not decades. And I would add that it will never happen without genuinely free, independent and unbiased news media to serve as the people’s watchdogs over whatever government is in power, and also over every other aspect of the nation’s economic, civic and social activities. 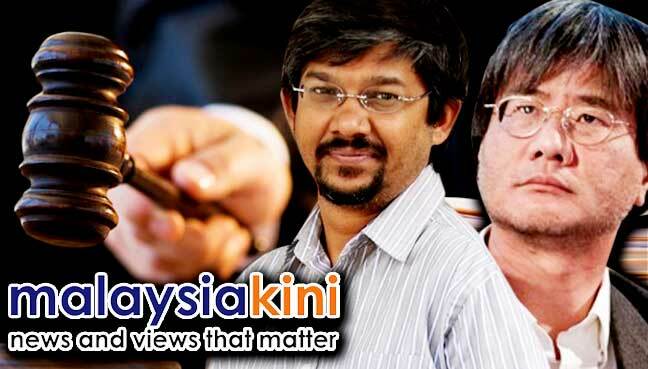 The first steps in this direction have already been taken, of course, by Malaysiakini, Sarawak Report and several other pioneering portals dedicated to the dissemination of respectable, responsible and above all, independent news and opinion. But for 20 years now, they’ve been the tiny exception to the rule imposed on the majority of Malaysia’s so-called “mainstream” media which have served not as watchdogs for the people but as lapdogs for the repressive, corrupt and otherwise criminal and now mercifully defunct UMNO-BN regime. This is largely due to such unconstitutional laws as the Printing, Presses and Publications Act, the far-too-widely-applied Official Secrets Act, the Sedition Act and the Anti-Fake News Act. So firstly, if Lim Kit Siang’s version of what I presume to be Pakatan Harapan’s vision for Malaysia is to be eventually realised, all of UMNO-BN’s anti-press freedom laws must be repealed. Next, or even simultaneously, legislation has to be enacted forbidding political parties or their backers from ownership of news media, and requiring political parties’ shares in existing ones to be immediately surrendered or sold. But changing truth- and independence-repressive media laws might be one thing, and changing media culture quite another, given that the managers, editors and so-called “journalists” of the mainstream media have been so long and apparently so happily serving as pet propagandists for filthy rich politicians and their cronies. Anybody who imagines that many or even the majority of these panderers will change their spots beyond switching their craven allegiances to those they see as the new or latest people in power must be dreaming. As must anyone who fancies that a great many of these ‘presstitutes’ will in future refuse to take bribes for suppressing or playing up stories, depending on who’s the highest bidder for their services. But this poses the question of how to quickly replace these people, or re-educate enough of them in everything from the ABC to the XYZ of basic news reporting, let alone such advanced versions of the profession as investigative journalism. DEAN JOHNS, after many years in Asia, currently lives with his Malaysian-born wife and daughter in Sydney, where he coaches and mentors writers and authors and practices as a writing therapist. Published compilations of his Malaysiakini columns include “Mad about Malaysia”, “Even Madder about Malaysia”, “Missing Malaysia”, “1Malaysia.con” and “Malaysia Mania”. Posted in Australia, civil society issues, Democracy, Human Rights, Malaysiakini, Media, Politics. ASEAN has long been praised for its ‘open regionalism’ whereby it pursues economic integration among member states without discriminating against non-ASEAN economies. As other powers rise, ASEAN is at risk of losing its collective commitment to a shared vision for the region and a common stance on geopolitical issues. Unless ASEAN remains united as a bloc, write Borge Brende and Justin Wood, it will lose its ability to convene regional actors, mediate disputes, and shape principles of international behaviour and interaction. Is the Association of Southeast Asian Nations (ASEAN) resilient enough to thrive amid the regional and global transformations taking place today? While the global economy continues its broad-based expansion, disruptive economic, geostrategic, and technological forces may threaten Asean’s gains of recent years. To survive, Asean members must make important decisions about the role of their community in regional affairs. With the right choices, the region can convert disruption into an opportunity for a resilient future. ASEAN has undergone an impressive turnaround in the past five decades. A region of turbulence, disharmony, and underdevelopment in the 1960s is today one of relative peace and economic success. Much of the credit belongs to the community-building efforts of the countries under the Asean umbrella. But the region also benefited strongly from the post-World War II global architecture and institutions that promoted inward flows of investment and outward flows of exports. Today, this global backdrop is in a state of profound transformation. The benefits of free and open trade are being questioned, international institutions are being challenged, new geopolitical powers are rising, and – despite ups and downs – the global economy continues to tilt further toward emerging markets. All of this creates an opportunity for new and competing visions of how the world should be organized and run. Alongside rising geopolitical uncertainty, ASEAN countries must grapple with the Fourth Industrial Revolution. The exponential development of technologies such as artificial intelligence, advanced robotics, precision medicine, and autonomous vehicles is transforming economies, businesses, and societies. ASEAN members will feel the effects of the Fourth Industrial Revolution acutely. Consider the future of jobs. The working-age population in the bloc is increasing by 11,000 people daily and will continue to grow at this rate for the next 15 years. This demographic expansion is happening just as many existing jobs will be substituted by intelligent automation and AI. Systems of taxation that rely on labour income will come under pressure. National budgets will be challenged at exactly the moment when Asean members must increase their investment in reskilling labour forces and developing infrastructure for this new age. Or consider the future of manufacturing. Technologies such as 3D printing and cheap industrial robots are enabling products to be made in small, highly-customized forms rather than large batches of uniform goods. For ASEAN, the shift from centralized global supply chains to localized production systems could have a serious impact on export revenues and the investment by which it is driven. Faced with these disruptive shifts, ASEAN must strengthen its community. Economically, regional resilience can be bolstered by building a genuine single market: ASEAN has 630 million citizens with rapidly rising spending power. Fully implementing the ASEAN Economic Community will be key. With a strong regional market, ASEAN can drive its own economic destiny, rather than relying on demand from external markets, and will be better insulated against potential protectionist shocks. Creating a single market for services will be critical. Here, especially, ASEAN members must respond to the Fourth Industrial Revolution, tackling issues such as harmonization of rules governing the use of data. New technologies – including digital platforms, big-data analytics, and cloud-based services – do not recognize national borders and function best when they operate at scale. With a single digital market, ASEAN can develop truly pan-regional services in finance, health care, education, and e-commerce. Of course, ASEAN should not build a fortress that keeps out the world. 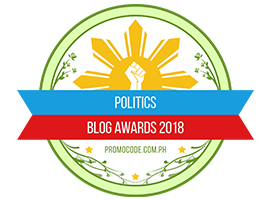 Indeed, the bloc has long been praised for its “open regionalism,” whereby it pursues economic integration among member states without discriminating against non-ASEAN economies. This approach has been integral to its economic strategy from the beginning, and continues with the soon-to-be concluded Regional Comprehensive Economic Partnership joining ASEAN with China, Japan, South Korea, India, Australia, and New Zealand. Strengthening the political-security community is equally essential. With the architecture of global governance being challenged, ASEAN members must make their voices heard if they want a world that supports their interests. Individually, Southeast Asia’s countries carry little weight; collectively, however, they represent almost a tenth of the world’s population and nearly 5 percent of its GDP. Historically, ASEAN has played a pivotal role in facilitating regional relationships, giving rise to the notion of “ASEAN centrality” in Asia. In 1993, the bloc established the ASEANn Regional Forum – now with 27 members – to foster dialogue on political and security concerns. It established the East Asia Summit, currently with 18 member states, in 2005. Today, however, the geopolitical context is evolving. As other powers rise, ASEAN is at risk of losing its collective commitment to a shared vision for the region and a common stance on geopolitical issues. Many observers believe that other countries are undermining ASEAN n unanimity by developing dependencies with individual countries, built on investment, trade, and assistance. Unless it remains united as a bloc, ASEAN will lose its ability to convene regional actors, mediate disputes, and shape principles of international behaviour and interaction. The so-called ASEAN way, characterized by consensus-based decision-making and non-interference, has served ASEAN well, and the bloc would be unwise to jettison it. But a reassessment is needed if ASEAN is to speak with a strong voice on regional matters, rather than allowing dissenting voices within the group to prevent the adoption of collective positions. Given that existing global institutions are being challenged, and given the rise of Asia in global affairs, Asean must reinforce its ability to influence the debate. 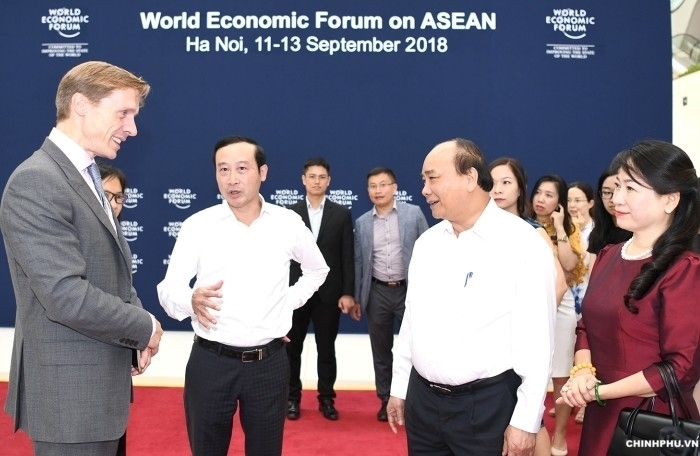 The World Economic Forum on ASEAN will be held in Hanoi, Vietnam, on September 11-13 and will provide an opportunity for such a reassessment. In an increasingly uncertain world, the need for the countries of ASEAN to deepen their community and their commitment to integration and collaboration is stronger than ever. Borge Brende is President of the World Economic Forum; Justin Wood is Head of Asia Pacific and a member of the Executive Committee of the World Economic Forum. Posted in ASEAN, ASEAN Centrality, ASEAN Economic Community, Globalisation, Khmer Times, Media, Peace and Development--The ASEAN Way, Project-Syndicate.org, Regionalism. Three months after the voters showed the door to the Barisan Nasional, the coalition composed of Malaysia’s ethnic political parties, the media the parties have owned for decades appear at sea, uncertain if they have been unshackled from the parties that own them, unsure of their new freedom, as is the new government. The papers include, among others, the English-language New Straits Times and the Malay-language Utusan Malaysia, owned by companies affiliated with the United Malays National Organization; and the English-language Star and the Chinese-language Nanyang Siang Pau owned by the Malaysian Chinese Association. The Malaysian Indian Congress also publishes local editions. The attitudes of the mainstream editors and publishers are unknown and spokespersons ignored requests for interviews from Asia Sentinel. Reporters at press conferences seldom ask challenging or tough questions, as was true in the past. The mainstream press has largely turned to praising the policies and actions of the Pakatan Harapan government, as Sadiq noted, without a serious examination of the issues, of which there are plenty. After decades of circumspection out of fear of dismissal and worse, journalists are reluctant to criticize issues which dominate social media such as Prime Minister Mahathir Mohamad’s proposal for a new national car project, his dominance of Khazanah Nasional, the investment arm of the government, the repressive religious actions of the Department of Islamic Advancement of Malaysia (JAKIM).and government-linked companies (GLCs), most of which have been run by cronies of the previous government and which for years have lived off fat government contracts. In the run up to the May 9 general election, the mainstream media, on instruction from the Barisan and its leading party the United Malays National Organization would attack Mahathir, its fiercest critic. Now, they have switched their attack to former Prime Minister Najib, who faces corruption charges over 1MDB and other issues. In fact, Sadiq said, there are moves to take over the establishment media and bend it to favor the new government, as if the new government hasn’t quite got the idea of a free press right. Mahathir’s government “promised a democratic revolution upon its election – there would be no more meaningful way to make good on that vow than by freeing the press,” he continued. 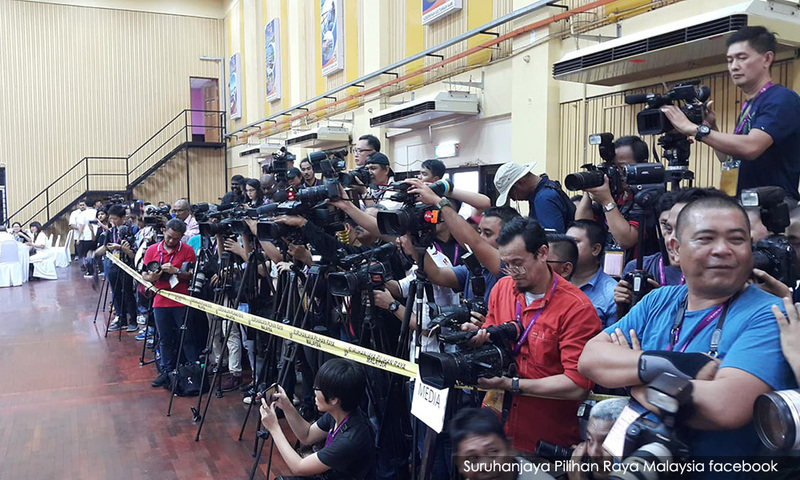 Some 35 laws remain on Malaysia’s books that restrict freedom of the press. One of them is the infamous sedition statute, which was used against a long string of academics, journalists, opposition politicians and others. And shockingly it was used again in July, two months after the long-suppressed opposition Pakatan Harapan coalition came to power, against Fadiah Nadwa Fikri, a lawyer with the Center to Combat Corruption and Colonialism, who questioned the power of the country’s nine sultans in a democracy. Fadiah was questioned by the Police on July 10 for an hour. She claimed the right to remain silent and the case is hanging fire. But the incident raises serious questions over the commitment of the new coalition to the right to free expression. The alternative media, including the major online news portals, Malaysiakini and Malaysian Insight, continue to play their role as the conscience of the nation and try to present a balanced view to the public. The Pakatan Harapan administration may have promised more press freedom, but unless reporters have more integrity and rise to the challenge of scrutinizing the new coalition\ by asking tough questions of its ministers, and their policies, little will change. They are easily fobbed off with remarks like “It’s Mahathir’s prerogative” to do as he pleases. The election promise by the new government of increased press freedom has ostensibly been welcomed. At July’s Malaysian Press Night 2018 for the 2017 Malaysian Press Institute (MPI)-Petronas Journalism Awards, Foreign Minister, Saifuddin Abdullah, urged the press to play a critical role in the nation’s political transition towards a mature democratic country. Claiming that his government was more open and willing to embrace press freedom, he said: “Journalists do not have to worry about receiving calls from the PMO (Prime Minister’s Office) or other ministers. In fact, it is okay to hold more debates. Hopefully, no editor will be summoned anymore just because some pictures are ‘not interesting enough’. Few would disagree, but some believe that there has been little change. Some 35 laws remain on Malaysia’s books that could potentially limit press freedom. Prior to the election, political appointees enjoyed prominent positions on mainstream editorial boards and few politicians felt any fear, even during press conferences, of serious exposes. Editorial boards still control what the public reads. To the casual observer, the mainstream media has always been full of praise for the ruling party, but fiercely critical of the opposition. With new editorial guidelines under the new government, many hoped that things would change. The people who doubt the critical role of the free, self-regulating press to expose acts of corruption, deaths in custody and illegal practices need to remind themselves that many of these horrors would never have been in the public domain, but for the few people who were prepared to write about them, publish the reports in the papers and demand that action be taken to help society’s most marginalized people. In the past, the institutions and the key people involved would close ranks, silence criticism and turn a blind eye to public concerns. Those who made the reports and who dared to give a voice to victims, were threatened and charged with various trumped-up offences, to silence them. In some cases, they were killed to stop action being taken. Posted in Asia-Sentinel, civil society issues, Democracy, Freedom of X-pression, Human Rights, journalism, Malaysiakini, Media, Pakatan Harapan, Politics, Press Freedom, Rule of Law, The New Straits Times, The Star, Tun Dr. Mahathir Mohamad, Uncategorized. HE IS the most unusual member of the liberal pantheon. Liberalism has usually been at its most vigorous among the Anglo-American middle classes. By contrast, Alexis de Tocqueville was a proud member of the French aristocracy. Liberalism tends to be marinated in optimism to such an extent that it sometimes shades into naivety. Tocqueville believed that liberal optimism needs to be served with a side-order of pessimism. Far from being automatic, progress depends on wise government and sensible policy. He also ranks among the greats. He wrote classic studies of two engines of the emerging liberal order: “Democracy in America” (1835-40) and “The Old Regime and the French Revolution” (1856). He also helped shape French liberalism, both as a political activist and as a thinker. He was a leading participant in the “Great Debate” of the 1820s between liberals and ultra-Royalists about the future direction of France. In 1849 he served briefly as foreign minister (he died a decade later). He broadened the liberal tradition by subjecting the bland pieties of the Anglo-American middle class to a certain aristocratic disdain; and he deepened it by pointing to the growing dangers of bureaucratic centralisation. Better than any other liberal, Tocqueville understood the importance of ensuring that the collective business of society is done as much as possible by the people themselves, through voluntary effort, rather than by the government. Tocqueville’s liberalism was driven by two forces. The first was his fierce commitment to the sanctity of the individual. The purpose of politics was to protect people’s rights (particularly the right to free discussion) and to give them scope to develop their abilities to the full. The second was his unshakable belief that the future lay with “democracy”. By that he meant more than just parliamentary democracy with its principle of elections and wide suffrage. He meant a society based on equality. The old regime was predicated on the belief that society was divided into fixed classes. Some people are born to rule and others to serve. Rulers like Tocqueville’s family in Normandy inherited responsibilities as well as privileges. They were morally bound to look after “their people” and serve “their country”. Democratic society was based on the idea that all people were born equal. They came into the world as individuals rather than as aristocrats or peasants. Their greatest responsibility was to make the most of their abilities. Many members of Tocqueville’s class thought that democratisation was both an accident and a mistake—an accident because cleverer management of the old regime could have prevented the revolution in 1789, and a mistake because democracy destroyed everything they held most dear. Tocqueville thought that was nonsense—and pitied his fellow blue-bloods who wasted their lives in a doomed attempt to restore aristocratic privilege. The great question at the heart of Tocqueville’s thought is the relationship between liberty and democracy. 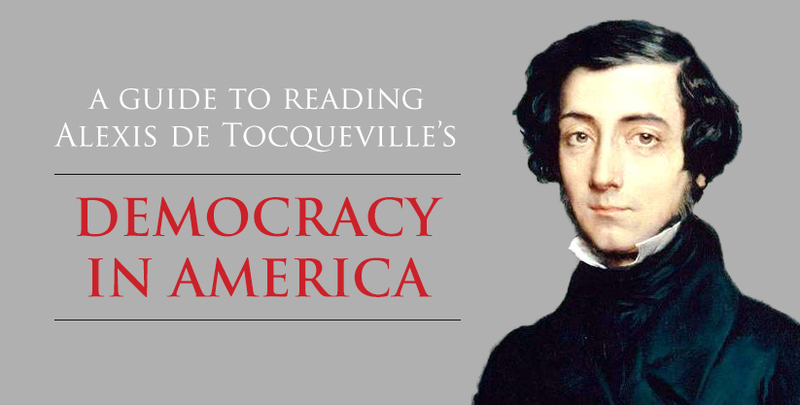 Tocqueville was certain that it was impossible to have liberty without democracy, but he worried that it was possible to have democracy without liberty. For example, democracy might transfer power from the old aristocracy to an all-powerful central state, thereby reducing individuals to helpless, isolated atoms. Or it might make a mockery of free discussion by manipulating everybody into bowing down before conventional wisdom. Sir Larry Siedentop, an Oxford academic, points out that Tocqueville’s contribution was to identify a structural flaw in democratic societies. Liberals are so preoccupied by the “contract” between the individual on the one hand and the state on the other that they don’t make enough room for intermediate associations which acted as schools of local politics and buffers between the individual and the state. And, he was the first serious thinker to warn that liberalism could destroy itself. Tocqueville worried that states might use the principle of equality to accumulate power and ride roughshod over local traditions and local communities. Such centralisation might have all sorts of malign consequences. It might reduce the variety of institutions by obliging them to follow a central script. It might reduce individuals to a position of defencelessness before the mighty state, either by forcing them to obey the state’s edicts or making them dependent on the state’s largesse. And it might kill off traditions of self-government. Thus one liberal principle—equal treatment—might end up destroying three rival principles: self-government, pluralism and freedom from coercion. Tocqueville feared his own country might fall into the grip of just such an illiberal democracy, as it had in the Terror, under Maximilien Robespierre in 1793. The French revolutionaries had been so blinded by their commitment to liberty, equality and fraternity that they crushed dissenters and slaughtered aristocrats, including many members of Tocqueville’s family. His parents were spared, but his father’s hair turned white at 24 and his mother was reduced to a nervous wreck. He was worried about more than just the bloodshed, which proved to be a passing frenzy. The power of the state also posed a more subtle threat. The monarchy had nurtured an over-mighty state, as French kings sucked power from aristocrats towards the central government. The revolution completed the job, abolishing local autonomy along with aristocratic power and reducing individual citizens to equal servitude beneath the “immense tutelary power” of the state. By contrast, the United States represented democracy at its finest. Tocqueville’s ostensible reason for crossing the Atlantic, in 1831, was to study the American penal system, then seen as one of the most enlightened in the world. His real wish was to understand how America had combined democracy with liberty so successfully. He was impressed by the New England townships, with their robust local governments, but he was equally taken by the raw egalitarianism of the frontier. Why did the children of the American revolution achieve what the children of the French revolution could not? The most obvious factor was the dispersal of power. The government in Washington was disciplined by checks and balances. Power was exercised at the lowest possible level—not just the states but also cities, townships and voluntary organisations that flourished in America even as they declined in France. The second factor was what he called “manners”. Like most French liberals, Tocqueville was an Anglophile. He thought that America had inherited many of Britain’s best traditions, such as common law and a ruling class that was committed to running local institutions. America also had the invaluable advantage of freedom of religion. Tocqueville believed that a liberal society depended ultimately on Christian morality. Alone among the world’s religions, Christianity preached the equality of man and the infinite worth of the individual. But the ancien régime had robbed Christianity of its true spirit by turning it into an adjunct of the state. America’s decision to make religion a matter of free conscience created a vital alliance between the “spirit of religion” and the “spirit of liberty”. 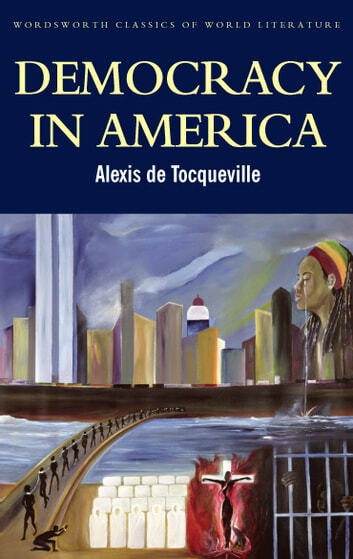 America was a society that “goes along by itself”, as Tocqueville put it, not just because it dispersed power but because it produced self-confident, energetic citizens, capable of organising themselves rather than looking to the government to solve their problems. He was not blind to the faults of American democracy. He puzzled over the fact that the world’s most liberal society practised slavery, though, like most liberals, he comforted himself with the thought that it was sure to wither. He worried about the cult of the common man. Americans were so appalled by the idea that one person’s opinion might be better than another’s that they embraced dolts and persecuted gifted heretics. He worried that individualism might shade into egotism. Shorn of bonds with wider society, Americans risked being confined within the solitude of their own hearts. The combination of egalitarianism and individualism might do for Americans what centralisation had done for France—dissolve their defences against governmental power and reduce them to sheep, content to be fed and watered by benevolent bureaucrats. Tocqueville exercised a powerful influence on those who shared his fears. In his “Autobiography” John Stuart Mill thanked Tocqueville for sharpening his insight that government by the majority might hinder idiosyncratic intellectuals from influencing the debate. In 1867 Robert Lowe, a leading Liberal politician, argued for mass education on the Tocquevillian grounds that “we must educate our masters”. Other Liberal politicians argued against extending the franchise on the grounds that liberty could not survive a surfeit of democracy. In the 1950s and 1960s American intellectuals seized on Tocqueville’s insight that mass society might weaken liberty by narrowing society’s choices. More recently intellectuals have worried about the rapid growth of the federal government, inaugurated by Lyndon Johnson’s Great Society programme. Transferring power from local to the federal government; empowering unaccountable bureaucrats to pursue abstract goods such as “equality of representation” (even if it means riding roughshod over local institutions); and undermining the vitality of civil society tends, they fear, to destroy the building blocks of Tocqueville’s America. A recent conference, organised by the Tocqueville Society and held in the family’s Normandy manor house, dwelt on the various ways in which democracy is under assault from within, by speech codes, and from without, by the rise of authoritarian populism, under the general heading of “demo-pessimism”. It is worth adding that the threat to liberty today does not stem just from big government. It also comes from big companies, particularly tech firms that trade in information, and from the nexus between the two. Gargantuan tech companies enjoy market shares unknown since the Gilded Age. They are intertwined with the government through lobbying and the revolving door that has government officials working for them when they leave office. By providing so much information “free” they are throttling media outfits that invest in gathering the news that informs citizens. By using algorithms based on previous preferences they provide people with information that suits their prejudices—right-wing rage for the right and left-wing rage for the left. Today’s great rising power is the very opposite of the United States, the great rising power of Tocqueville’s time. China is an example not of democracy allied to liberty but of centralisation allied to authoritarianism. Its state and its pliant tech firms can control the flow of information to an extent never dreamed of. Increasingly, China embodies everything that Tocqueville warned against: power centralised in the hands of the state; citizens reduced to atoms; a collective willingness to sacrifice liberty for a comfortable life. Before the revolution in France in 1848, Tocqueville warned that the continent was “sleeping on a volcano…A wind of revolution blows, the storm is on the horizon.” Today democracy in America has taken a dangerous turn. Populists are advancing in Europe, Asia and Latin America. Authoritarians are consolidating power. The most pessimistic of great liberal thinkers may not have been pessimistic enough. Posted in American Politics, Civil Society, Democracy, Donald J Trump, Freedom, Governance, Justice, Liberalism and Open Society, Media, Philosophy of History, Politics, Religion, Rule of Law, The Economist, US Congress, US Presidency.